Plot: Diluted and cheapened hodgepodge of Arthurian legends. 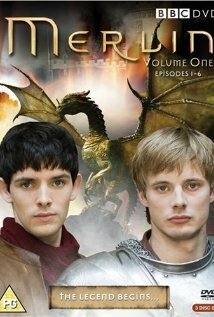 Teenage Merlin and teenage Arthur having, like, saving Albion. Pros: A reminder that teenage years are bad time for us all. Cons: Borderline boring plot, irritating characters, banal dialogues and horrid special effects.